In less than a week one of our most anticipated books of the year is published – Jenny Ackland’s Little Gods and young protagonist Olive Lovelock have captured the hearts of our staff, so read their thoughts on this remarkable novel and find out how to win a copy for yourself. 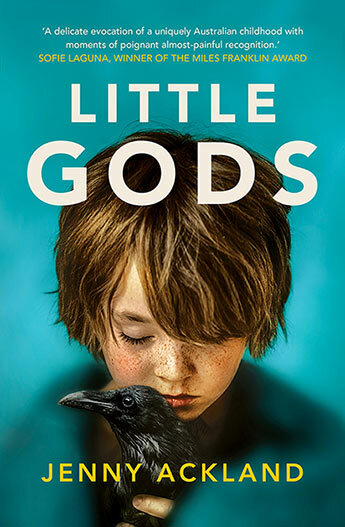 Funny and heartbreaking, and beautifully evocative in capturing Australian childhood, Little Gods is a rare, original and stunning novel about a remarkable girl who learns the hard way that the truth doesn’t always set you free. 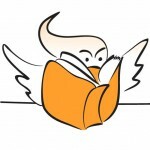 With echoes of Jasper Jones, Seven Little Australians and Cloudstreet, Little Gods takes readers to the Mallee, wide flat scrubland in north-western Victoria, country where men are bred quiet, women stoic and the gothic is never far away. Olive Lovelock has just turned twelve. She is smart, fanciful and brave, and on the cusp of something darker than the small world she has known her entire life. When Olive learns she once had a baby sister who died, she becomes convinced it was murder, and her relentless quest to find out what happened has seismic repercussions for her family, the community and Olive herself. Little Gods takes me right back to childhood, to those puzzling days when you are not fully in charge of your own destiny. Olive is a feisty, determined and spirited young girl searching for answers to questions that the adults are reluctant to divulge. A novel that will leave an indelible mark upon all who read it. Olive is a whirlwind, a razor-sharp human firecracker who drags you into the mysteries of her life and drowns you in them. A modern-day Huckleberry Finn, she fights boys, drives cars, spies from trees, summons the spirits, and leaves you utterly loving her gumption and resilience. Olive unlocks happy memories of an idyllic Australian childhood, but she also stands as a poignant reminder of what it is like to teeter on the cusp of child and adulthood, farewelling an age of innocence while grasping at adulthood, and learning the hard way that growing up does hurt. A heartbreaking novel; one you won’t forget. Olive Lovelock is on the precipice; her happy, simple childhood lingers behind and the harsh reality of growing up lies ahead. Little Gods expertly captures the complexities of adolescence, the injustice of silent avoidance and the consequences of suppressed secrets. Olive’s innocent desire to discover the truth of her sister’s death forces her to confront the reality that the questions you ask, do not always have answers you seek. I journeyed with Olive as an amateur sleuth investigating her flawed family’s history; I mourned with her as she came to terms with the grief of a lost sibling; I stood by her as she became witness to a truth that was neither liberating nor comforting. Her highs were my highs, and her lows were my lows. The world of Little Gods is not forgiving or redemptive; it is mercilessly honest. It reminds you that growing up is never easy, never quick, and never flawless. This is a singular story and one of the most distinctive Australian novels I have read. Ackland’s words flow from the page directly to your soul. It is writing to savour! If all that staff love has whet your appetite for more, read the opening chapters below and win an advance copy.